Usually, we have to wait until somewhere close to the end of the year to gather a little dirt abo ut the luckiest man of said year, but it seems like roulette gave us the undisputed 2017 champion back in January. In a series of video clips that went viral, a Brazilian casino punter walked away with a cool $3.5 million from a single roulette spin in which he had sunk more than $100,000. Businessman Pedro Grendene Bartelle was just having a good time with his friends, in the Hotel Conrad in Punta Del Este, located on the coast of Uruguay. A mug of beer in hand and a few aces up his sleeve, Bartelle decided to have a go at the spins. In the clips doing rounds on the internet, Bartelle is seen considering the decision before strutting into the thick of the action in a confident gait. He then pauses at the tables as a bunch of people gather all around him in anticipation for the next move. 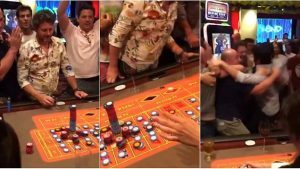 The businessman is then seeing stacking his pile of chips on the number 32, and his bet at that point gradually rises to more than $100,000. His friends and the crowd around him seem more than a little tense, but he assures them that all is well and raises a glass of wine to his lips in a sleek act of self-confidence. The commotion brings over even more crowds, and there is a brief period of tension before the crowd erupts in a unanimous roar of victory. The reason, of course, is that Pedro Grendene Bartelle has just romped home to a legendary victory. While such big victories are rare, they are far from unheard of. Sometimes it’s a product of sheer luck, and at other times, the product of years of refining one’s skills at the tables. 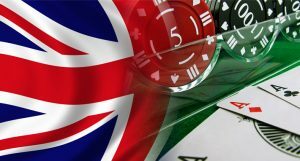 If this story makes you want to go H.A.M on some high stakes roulette chips online, then they are waiting for you at Crispy Gamer. You never know, it might end up being the best decision of your life. $3.5 million is not exactly a drop in the ocean, but Pedro Grendene Bartelle and his family are used to the idea of millions. His uncle, Alexandre Grendene Bartelle, is a Brazilian billionaire and his massive sandals company, Grendene, is a household name in countries around the world. The younger Bartelle is rich in his own right, seeing as he is the CEO of another shoe company, Vulcabras-Azaleia. Rich or not, $3.5 million is not exactly the kind of high stakes pay dirt we would want to scoff at.